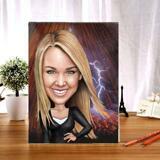 Are you searching for a good personalized gift? Order a funny cartoon caricature drawing, which will be drawn based on regular photos and designed regarding your mentioned requirements. 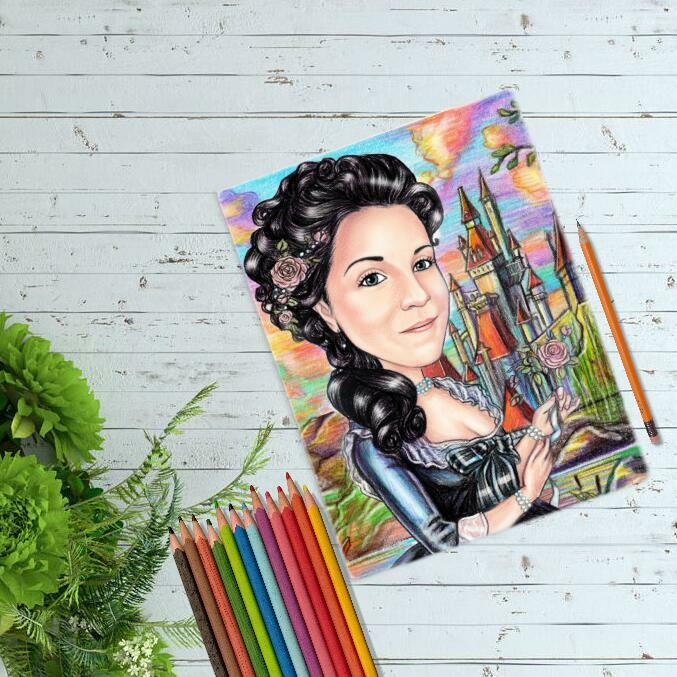 Photolamus will create an original cartoon drawing in colored pencils style, featuring a beautiful bright background. 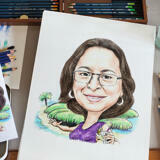 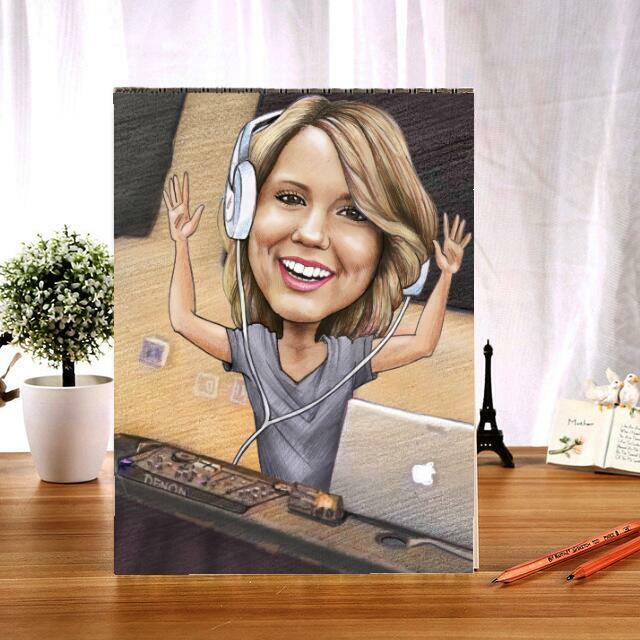 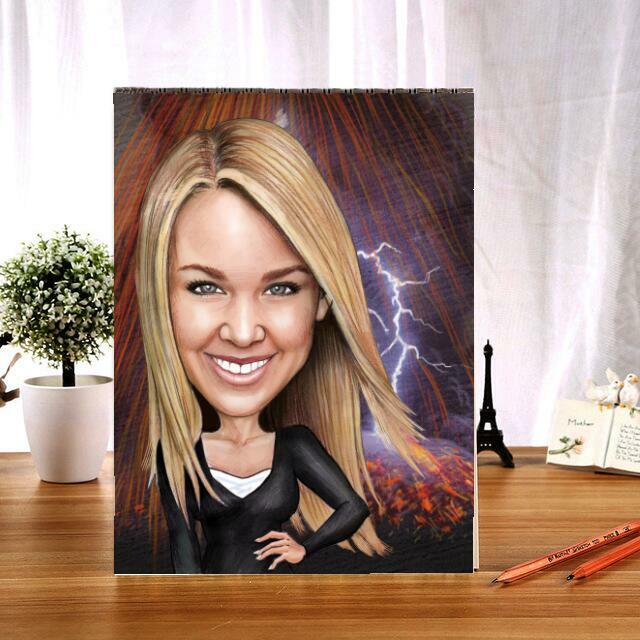 We will turn your ideas into a fantastic caricature drawing, which will be drawn brilliantly according to your ideas. 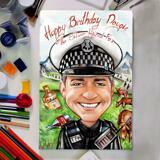 Such amazing cartoons are great gift ideas for giving a keepsake to your friends, colleagues and family members. 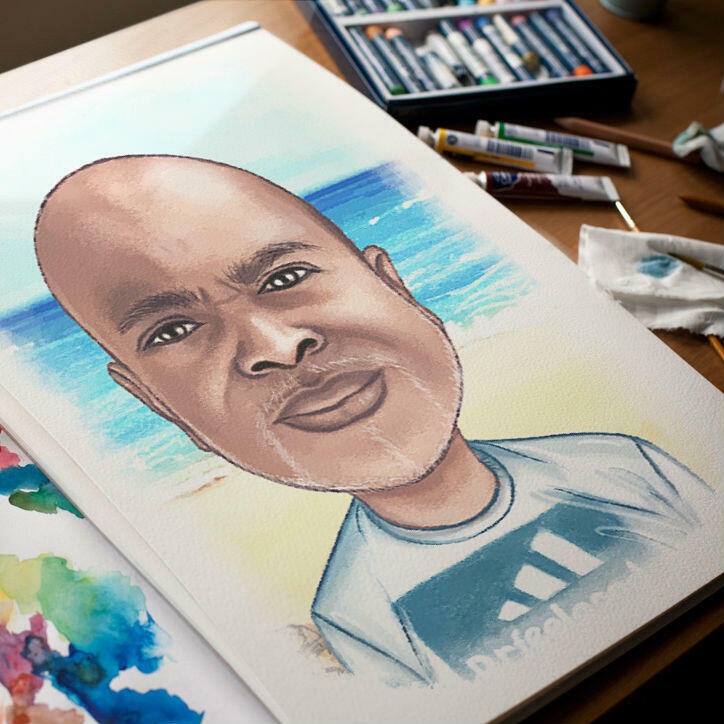 We can draw anything of what this person likes, what he likes to do, to read, how he spends his free time, just send us your requirements and we will make your ideas to come true. Cartoon Drawing will be delivered within 20 days by post.